Dr. Karen Bailey is a recent graduate from SNRE’s Interdisciplinary Ecology doctoral program. 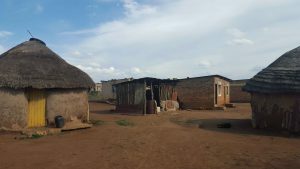 Her dissertation was titled “Drought Adaptation among Small-Scale Farmers in Swaziland: Understanding Relationships with Capital, Cognition, and Wellbeing”. Dr. Bailey was advised by Drs. Bob McCleery and Grenville Barnes. What do you do, and how did you get there? I like to think of myself as an environmental scientist/human geographer/ecologist. I started off my dissertation working on a completely different project. My adviser is, of course, WEC’s Dr. Bob McCleery, who works on small mammals and on a lot of questions dealing with small mammals across various environments. My original project in Swaziland was looking at small mammal communities and how they were responding to variation in the landscape. The place where I work in Swaziland (can you name the place/location?) is this really interesting, dynamic landscape, where there are protected areas, large scale sugarcane plantations, people’s homesteads, and small urban areas. It’s a really interesting mosaic of different landscapes, with implications for small mammal communities. I did a full field season trapping small mammals and trying to answer questions about their roles in these ecosystems and how they vary across this landscape. But once I was there, I realized I was trying to answer questions about rodents in an ecosystem services framework that really had an anthropocentric feel to it, and the reason for that was I really had an interest in human-environment interactions and coupled human-natural systems. I hadn’t realized that before, I had always wanted to be an ecologist and study wildlife. 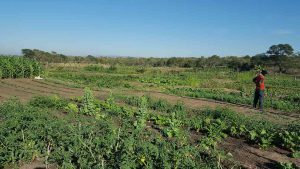 When I realized that, I decided to change my research to focus more on human lives, and how they are dependent on the environment and influenced by global change, namely land use change and climate change. Interdisciplinary. Like I said, I started out as an ecologist, and then decided to study people, and have now sort of branched out into this realm where I’m thinking about systems, so it requires thinking across a lot of different disciplines. Do you have a go-to tool? For my dissertation it was surveys! My favorite organism that I’ve studied would probably be the pouched mouse. Also, children are really wonderful! I got to work with human children a lot, which was really great. The pouched mouse was one of the twelve species of small mammal that I encountered semi-regularly, and they’re really adorable, and nice to work with, compared to some of the other species that are terrible to work with. I got to go to a Swazi wedding, which was really interesting, and very unexpected. I was invited by my field tech, and I went out to her house, and spent the week with her family, and got to help slaughter a chicken and goats, and to sit through this wedding, which felt sort of like a three hour sermon with dancing in between. I didn’t really understand the language well enough to pick up on any of the nuances, but it was really wonderful and I was lucky to be there. It was your field tech’s wedding? It was a community member, I don’t even know if they were related, actually! You were one of the founding members of the UF/IFAS Natural Resources Diversity Initiative (NRDI). What brought about the creation of that group? It was a combination of me and the two other students who founded it, recognizing that we wanted to do something like this. There was an ad-hoc diversity group made up of faculty in the Wildlife Department, but they really weren’t doing anything and realized they needed some support from students. So they recruited us and turned the advisory board into something more substantial. We took the goals that they had expressed, and our own personal drive, and turned that into NRDI. NRDI is the Natural Resources Diversity Initiative. It’s an organization was founded in 2012 by graduate students and faculty, and the goal is to increase awareness of opportunities within the natural resource field, and to increase diversity and representation in that field as well. We do that in a couple different ways. We go out into the broader Gainesville community, and we do hands-on science presentations, both to stimulate interest in natural resources and STEM fields more broadly, and also to sort of share our own passion and talk about the things that we do. We also try to build relationships between students and people who work in natural resource fields. We have the career showcase, where we’re bringing people to campus to talk about what they do, where there might be opportunities at the agencies and organizations where they work, and give people a face to associate with, “What’s a forester? What’s a biologist?” Things like that. We try to provide special development work on campus with our grad school panel and our CV/resume workshop. Things that will provide students with the opportunity to be successful in pursuing these fields. With your outreach, do you see the same kids over multiple years, or is it usually different people? That’s actually really interesting. At first, NRDI collaborated with one organization called YAPP. We went consistently to the YAPP afterschool program. There we would see different kids every week, but we would probably see the same 5-7 at least each month. Unfortunately, a few years ago, YAPP lost their funding, so the afterschool program ceased to exist, and we haven’t seen those children again. Everywhere else we go, the Eastside Rec Center, the library, the Micanopy afterschool tutoring program, the Gainesville Science Club, we might see some of the same students, but it still feels less consistent than before. How do the students usually react? We were seeing an increase in interest over time in YAPP, and I think we were getting through to those students. When we did an afterschool program, our primary goal is just to have a positive, relaxed experience with science. In general, we achieve that goal, and I think we have a lot of students, usually the middle schoolers, who are “too cool” to participate, but once we get going, they are very excited about what we’re doing and eager to get involved. That’s always a nice thing to see. I make lots of to-do lists, and then try to prioritize! How do you balance long periods in the field with your personal life? What’sApp. A lot of conversations and voice messages, and occasional video messaging on What’sApp. That keeps me connected to the people I’m not with and was a lifesaver down there. I’m big on dancing as a form of exercise, as a form of stress relief, with my friends, while drinking, whatever the situation is, I love to dance. I also am a big fan of movies. I will go to a lot of movies and encourage other people to go to movies that they might not go to. On my own, I’ll see things that I don’t always think I can get other people to go to. There’s a Studio Gibli fest happening all this year, and every month they’re showing a different film. That’s the type of thing I’ll go to by myself. A bunch of us recently went to see Infinity War on the night it came out. That’s more of a big draw for everyone. I guess maybe it’s just grad school, and if I’d gone anywhere I’d meet really awesome people, but I think Gainesville attracts a really great group of graduate students from different departments who are active and engaged and interesting to be around. I also think having such a great international community in the department is really cool as well. I also like that Gainesville is kind of a balanced-sized town. I’m originally from Los Angeles, which is one of the biggest cities in the world obviously, and I like Gainesville because there’s enough going on that I don’t feel like it’s a really tiny town, but it also isn’t nearly as crowded as some other places that I have lived. I also like all the green spaces, like Payne’s Prairie and Sweetwater, and the springs, and being close to the Gulf and the Ocean. Have you got any wildlife jokes? Two flies are on a toilet seat. One gets pissed off. I’m reading The Time Machine by H G Wells. It’s a classic I’d never gotten around to reading. It’s so weird! It’s really great. If you could call yourself back when you started undergrad, what advice would you give? I might tell myself to look into geography as a field of study. Rashidah Farid! She has interesting things to say about NRDI, and studies prairie dogs out west! Similarly, she’s already graduated, but Katie Haas is doing some interesting stuff with bats and white nose syndrome. Her field of expertise is landscape ecology, and thermal ecology and physiology. She has interesting things to say as well! All of what we do in WEC has implications for both wildlife populations and people, and it’s always important to think about those interactions in terms of how we manage wildlife, and in terms of how we get people excited about wildlife and maintain the environmental processes that support human life. This interview is by Rhett Barker, and was lightly edited for clarity by Claire Williams and Rhett Barker. Thanks to Dr. Karen Bailey for sitting down with us. 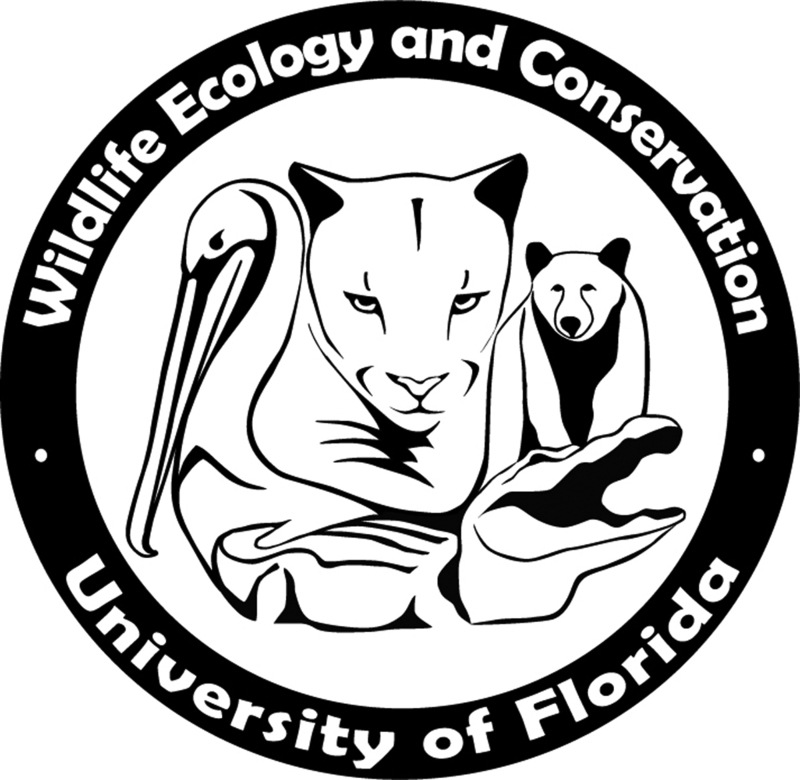 Learn more about the UF/IFAS Department of Wildlife Ecology and Conservation here!